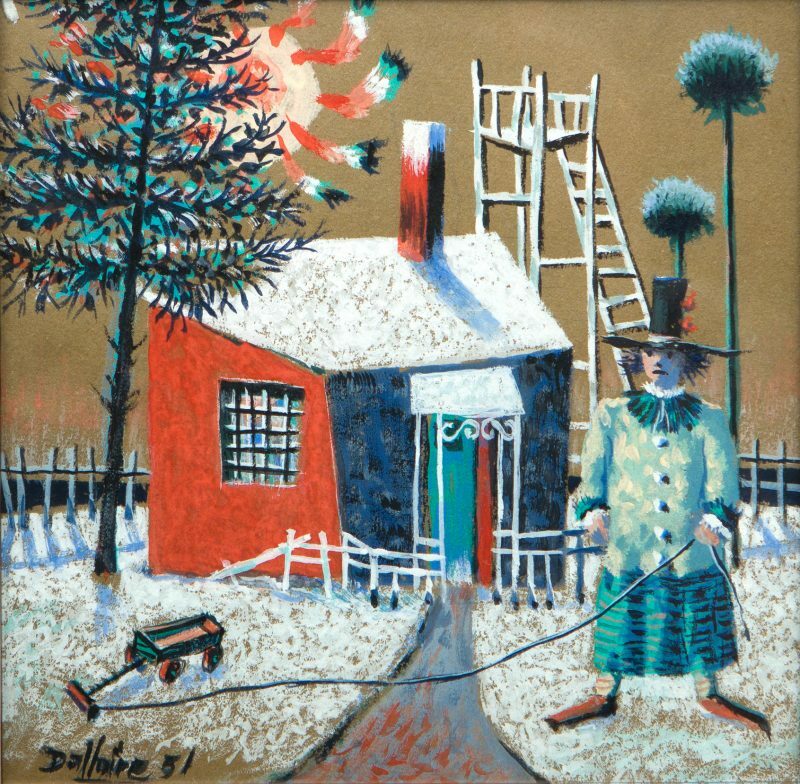 From 1946 to 1952, Jean Dallaire taught painting at the École des beaux-arts in Quebec City and exhibited at the Cercle universitaire de Montréal and the Musée de la Province de Québec (now the Musée national des beaux-arts du Québec). In 1951, he created his largest mural, Québec sous le Régime français, commissioned by the insurance company Industrial Alliance. 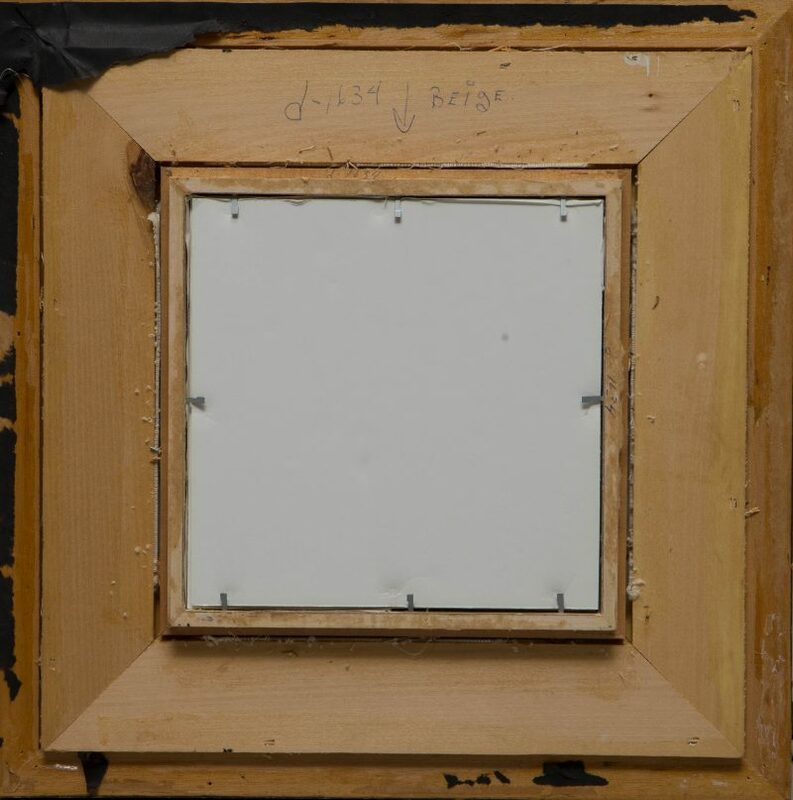 That same year, Dallaire presented four works in the Concours artistiques de la province de Québec, including Françoise lisant and Nature morte aux poissons, which tied for fourth place. Untitled, also from 1951, features a troubadour, or minstrel—a recurring character in his work during this period—looking slightly dismayed as he grips the rope of an empty wagon. Behind him are a small red-and-blue house with barred windows and a crooked fence. The sloping roof is lightly dusted with sugar-like snow, which also covers the ground in fluffy white flakes. Nearby are a white belfry and its ladder, a slightly pitched blue spruce, a few large pom-pom trees, and a sun with playfully bold and colourful rays. 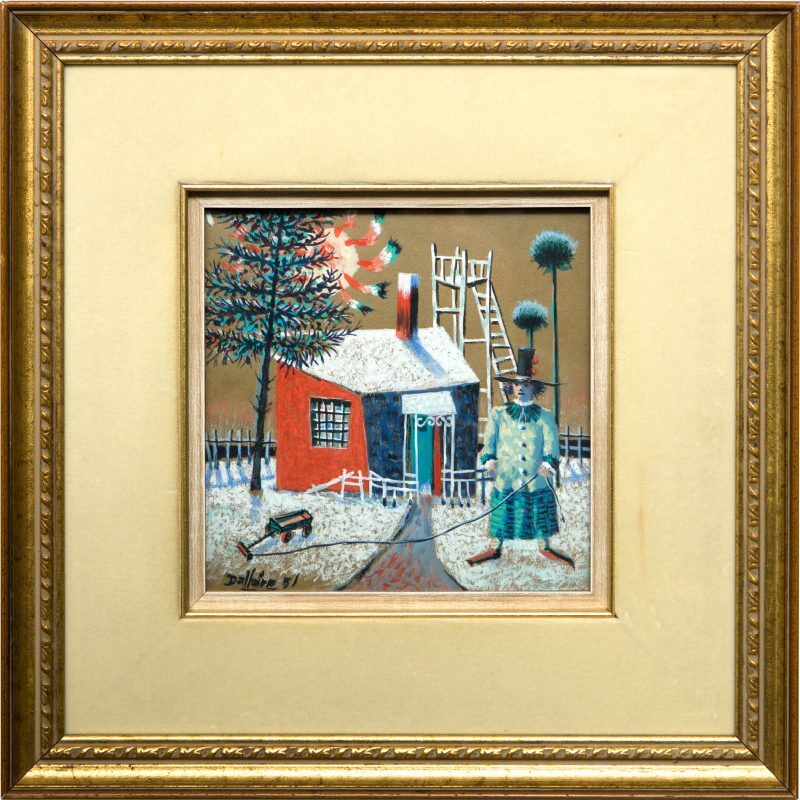 The skilful execution in tempera, a technique mastered by the artist, gives the work a surrealist feel through its fine, pointillist touches of paint.